Your donation can help fund PRI’s vital advocacy and programme work. Effective probation can transform the lives of offenders, reducing stigmatisation, contributing to successful integration, building skills and resilience that can break the prison-poverty cycle, and reducing recidivism rates. PRI conducts projects developing effective probation with government authorities, probation departments and NGO partners around the world. We adapt our methodology and recommendations to suit different political and social contexts, the partners we work with, and the country’s national institutions and legal frameworks. As an international organisation, PRI draws on its knowledge of international human rights and criminal justice standards and best practice to inform practical projects. We are also committed to ensuring the impact of our projects is measured and documented so that we can learn from experience and successful models can be replicated elsewhere. Establishing probation systems: PRI and local authorities piloted a probation system in Tunisia, opening the country’s first probation office in Sousse in 2013. Following its success, six more offices were opened in Tunisia in 2017. Child-friendly probation systems: PRI and NGO partners established three rehabilitation centres in Georgia that provided legal, psycho-social and recreational services. PRI and UNICEF have worked together to develop a child-friendly probation system in Kazakhstan – the first of its kind in the region. This led to the adoption of key legislation and additional child-friendly practices. Gender-sensitive probation systems: Through a pioneering project in Kenya, PRI developed the first ever model for gender-specific probation, based on the UN Bangkok Rules. In Georgia, PRI collaborated with NGO partners on a project providing rehabilitation services to vulnerable women serving probation. 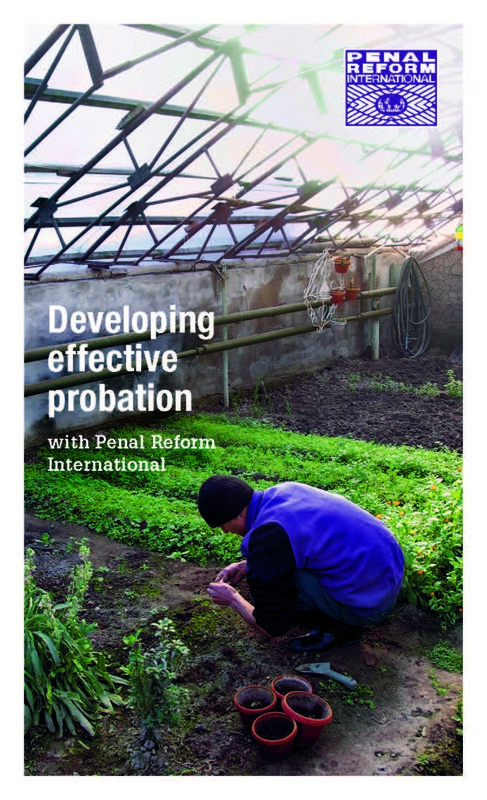 The full brochure outlining our practical work delivering effective probation can be downloaded here. As well as conducting practical grassroots projects, PRI plays an important role in advocacy at an international level. One example of our long-term advocacy work is a four-year project, funded by DFID, to revise the 1957 UN Standard Minimum Rules for the Treatment of Prisoners. 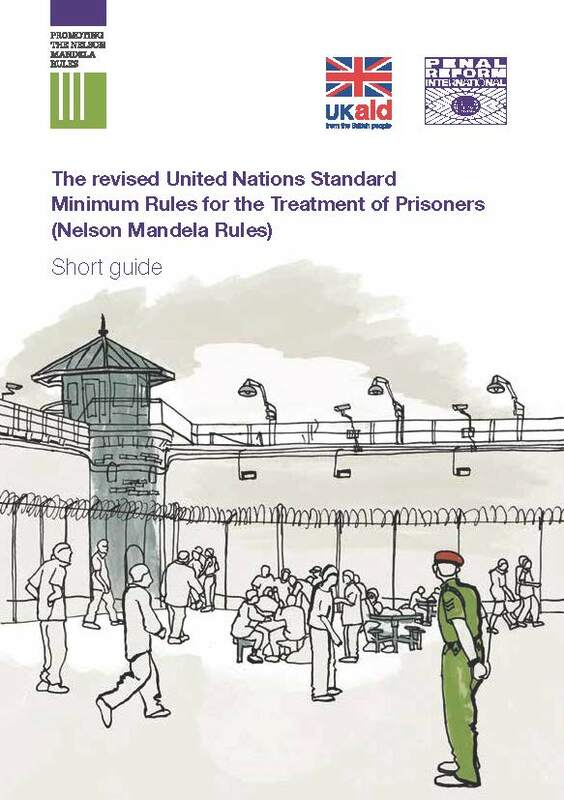 The Standard Minimum Rules are considered the main authoritative source on prison conditions, forming the basis of the prison rules of many nations. Therefore, it is vital that these rules are kept up-to-date and that they reflect current guidance and best practice on the treatment of prisoners. In December 2010, the UN General Assembly adopted a resolution asking the United Nations Crime Commission to set up a working group on how to review the Standard Minimum Rules. From 2011–2015, PRI lobbied for targeted yet substantive revisions that would modernise the rules and make them more human-rights orientated. PRI’s successful efforts led to the unanimous adoption of the revised ‘Mandela Rules’ in December 2015. An evaluation by Annabel Jackson Associates Ltd details how PRI influenced the decision to take a ‘targeted changes’ approach, and looks at the selection of areas for review, the reasoning behind the revisions and the final amendments that were adopted. The evaluator conducted two surveys in 2012 and 2015, during which all 45 respondents described PRI as influential or very influential in the process of reviewing the Standard Minimum Rules. The evaluation concluded that PRI’s work was exceptional in its global impact, as was the skill and complexity of stakeholder involvement and the pivotal role played by PRI, a small-sized NGO. Read the evaluation here.